Will US boot Bout back to Russia? According to the executive director of an international NGO, the US attorney general is considering the possibility of extraditing two Russian nationals sentenced in the US to lengthy prison terms for arms and drugs trafficking. ­“We learned that US Attorney General Eric Holder is considering the return of Victor Bout to Russia, along with another Russian arms and drugs trafficker, Konstantin Yaroshenko,” Kathi Lynn Austin, the Executive Director of the Conflict Awareness Project, told reporters on the sidelines of the UN Conference on the Arms Trade Treaty in New York on Tuesday. However, Austin expressed reservations about allowing the Russians to serve out the remainder of their prison sentences in their homeland. “Allowing Bout a transfer to Russia would pose a risk both to international peace and security as well as to US interests,” said Austin, an arms trafficking expert. Russian Justice Minister Alexander Konovalov told journalists that although the necessary steps are being taken to arrange for Bout's return to Russia, the extradition is not likely to happen soon. 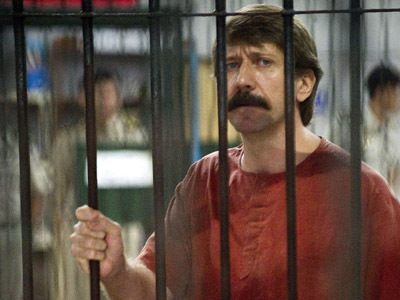 Konovalov said the US courts require any individual convicted in the United States to serve at least half of his sentence in a US prison. The minister added that so far the Russian national’s extradition is only being discussed at the diplomatic level. 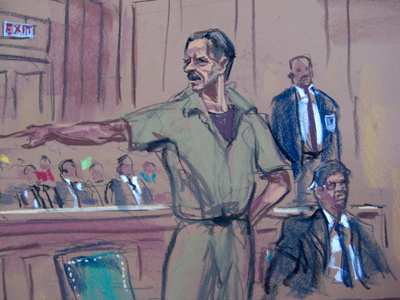 The former Soviet officer, who founded an air cargo company, was convicted of “conspiracy to kill Americans” and supply arms to the Revolutionary Armed Forces of Columbia (FARC), which the US government lists as a terrorist organization. He was sentenced in November to 25 years in prison by the New York Federal Court. Bout, who is said to have been the inspiration behind the 2005 Hollywood film, Lord of War, maintained throughout his ordeal that he would never get a fair trial in the United States. At the same time, the Justice Ministry has applied for the transfer of Konstantin Yaroshenko, a Russian pilot sentenced to a 20-year prison term on drug-trafficking charges.